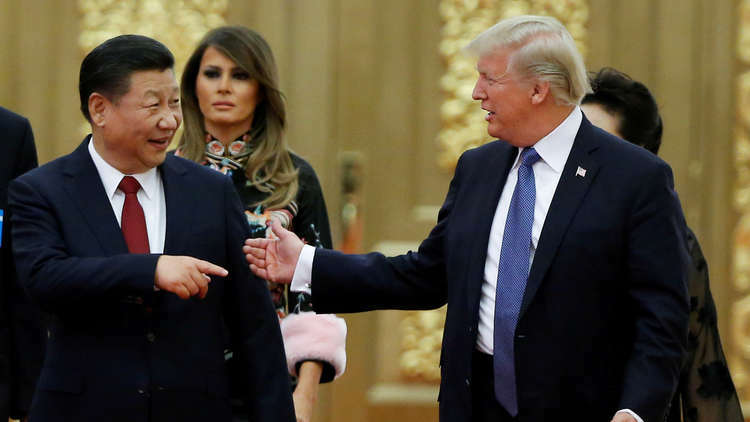 said US President Donald Trump, the decline in the Chinese economy during 2018 is the victory of the current US trade policy and the war waged by Washington against Beijing. "China is registering the slowest economic growth since 1990, because of the trade pressures and new policies of the United States, and it is very logical for it to finally conclude a real deal and stop dodging," Trump wrote on his social networking site Twitter. Official data showed that the growth of the Chinese economy slowed in 2018 to its lowest level since 1990, recording 6.6 percent in light of weak domestic demand and under pressure from a trade and economic dispute with the United States.